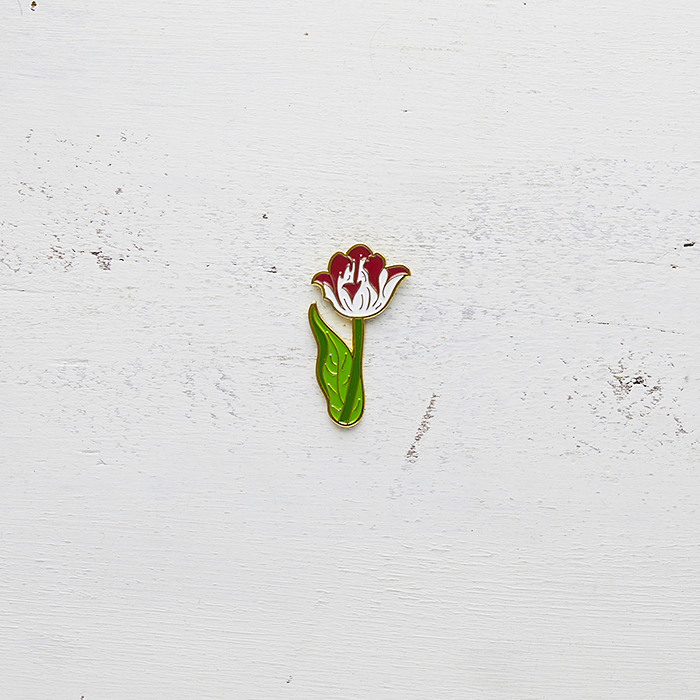 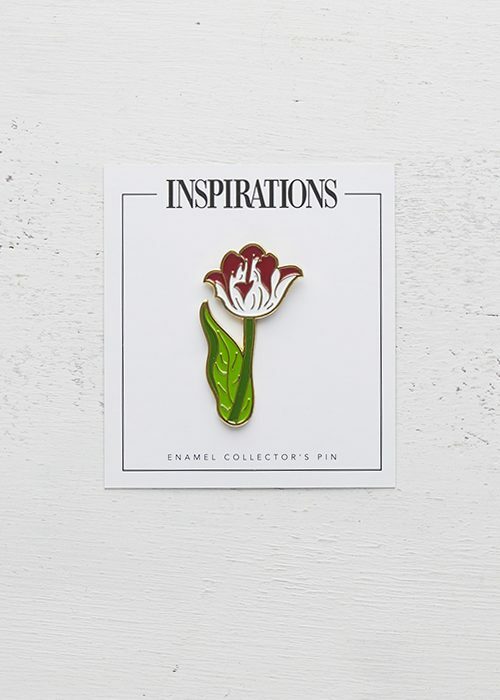 Exclusive premium quality enamel pin, inspired by Trish Burr's 'Redoute's Tulips'. 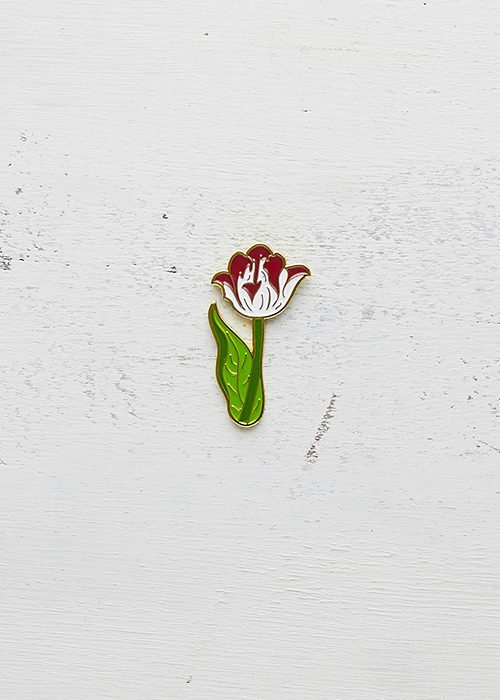 As a keepsake to celebrate 100 issues of the world’s most beautiful needlework magazine, we have released an exclusive premium quality enamel pin. 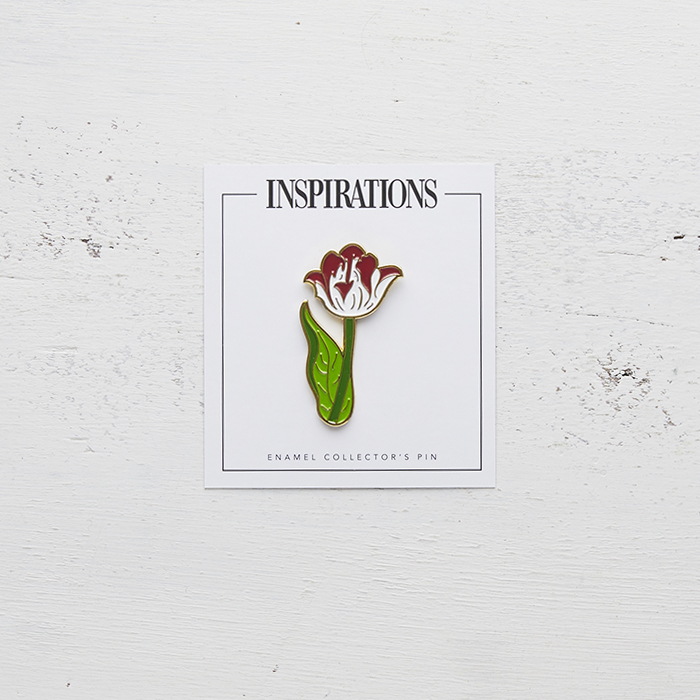 Inspired by Trish Burr’s issue #100 project ‘Redouté’s Tulips’ this high-quality pin is the first in a series of collector pins by Inspirations.